I’m sure many who have a computer at home and at work, often face problem with the synchronization of files between two computers. Someone uses a flash drive for this, some external hard drive, and some throws (if the information is not much) information by e-mail at home/work address. As an example, let’s say, passwords for sites, programs, documents, over which we have to work at home, or something else. Examples are many. I myself previously, using a flash drive, drag files from one computer to another. And each time was forced to update the data on the flash drive. All that can be synchronized by software, I synced (browser bookmarks, for example). And it lived up until today met with the service Dropbox. 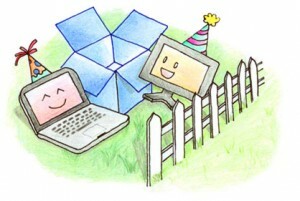 Internet Dropbox service provides file hosting (placing your files on a remote server). And, to organize all this is quite convenient for the end user. Install the Dropbox software on your computer and create a new account. On the drive will be a new folder My Dropbox. This folder is something in the like a virtual flash, which you can easily throw off the files and they immediately get on to a remote server. Now, these same steps needed to be done on the second computer, but instead create a new account, you can enter your username and password from the existing one. On the second computer will be exactly the same folder, and it will stay the same content as the first computer. To throw, for example, a file from one computer to another, no need to rewrite it to flash drive and stomp it to the second computer. Simply throw the file in the folder Dropbox, how he will appear in the same name folder on a second computer. It is very convenient and damn easy! To this day, for me it was big enough problem to synchronize passwords between two computers. I had to flip a database with passwords on a second computer, and periodically update it, that data is always up to date. Now I’ve put a base in the Dropbox folder, and “incited” the program to work with passwords (do not know, now I’m using KeePass) on this file in your Dropbox. On the second computer I did the same thing. And now I have both computers are always the most current database with passwords. In that case, if I update the database on one computer, the data is immediately synchronized to the remote server and on the second computer appears already updated file. What else can you do with Dropbox? For the convenience of using the web interface service Dropbox has a number of opportunities that can help you in your work. If necessary, you can recover deleted files by mistake. When you delete a file or folder from Dropbox on your computer you can easily restore the site through Dropbox. You can also share files and even entire folders with other users of the service. You can share (“this user”) for them as individual files or entire folders, which makes it very convenient to exchange data. You can put your data in your Public, and then they will be able to download, anyone who gets you to link to this folder. You can use the service to store it to back up your documents. Enough to configure the program to backup to the storage of copies in a folder, Dropbox, they will immediately pump to dropbox remote server. And in case of failure, you can easily restore the data by downloading a backup archive of Dropbox. Apart from these, you can do a lot of productive and time-saving activities using dropbox service. Some include: Accessing Portable Applications from Any PC, Syncing Your Music & Accessing from Anywhere or Share With Friends, Starting Your Torrents from Any Computer, Controlling Your Computer Remotely. Remember, the possibility is limitless! Surely, as you read article, ask this question! I will answer at once: the place up to 2 gigabytes absolutely free. If you need more, you can choose to pay the tariff or refer new users to get bonus 250MB from each! If you need to synchronize data between multiple computers (it supports Windows, Mac OS and Linux) and even mobile devices (iPad, iPhone, Android, Blackberry). It allows a fairly simple and understandable way to synchronize data, all that is needed: to install the program and put in the Dropbox folder, the data to be synchronized. If you still have not tried Dropbox, I recommend to do it right now. I generally use Audials both for Android phone and computer. It’s true I cannot transfer photos, only movies and music but it works pretty good I would say, you can sync pc to pc and pc to mobile and it doesn’t even cost anything if you use Audials Light + Audials for Android. I also use Dropbox sometimes but it takes so so long to upload files, I am going insane sometimes. Or maybe it’s just my internet connection, idk, I am not very good at these things. Anyway, personalmediacloud.com is the website where you can find some info about it. Ah and speaking of Dropbox, you can also transfer media files to the cloud with Audials Light. It’s actually pretty cool for a freeware. 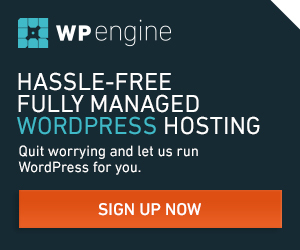 Yoma, now i am syncing all fines in real cloud. Thank you for time and guide write for me to understand.